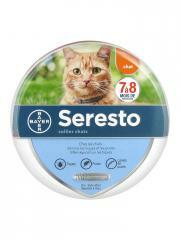 Bayer Seresto Collar Cats is an antiparasite collar designed for cats. It eliminates the ticks, lice and nits, and has a repulsive effect on ticks. Odorless, it is very waterproof. It offers up to 8 months protection. Put the collar to the cat's neck up to 8 months in a row. Indication: Antiparasite, cats. Collar of 38cm length. Principes Actifs : 1.25 g d'Imidaclopride, 0.56 g de Fluméthrine. Seem ok but proof will be if my cats don?t get fleas! We tried everything for our two cats who spend a lot of time outdoors, and nothing worked until we got these collars. Spot-ons were useless as the devious kitties lick their paws and clean it off their necks, and natural treatments had no effect. We weren't optimistic about these collars, but since putting the collars on a week ago, no ticks at all and only a few ill-looking fleas! Price was much cheaper than I could get it here in the UK, and no prescription required - perfect! Have already placed a second order and will be back for more. 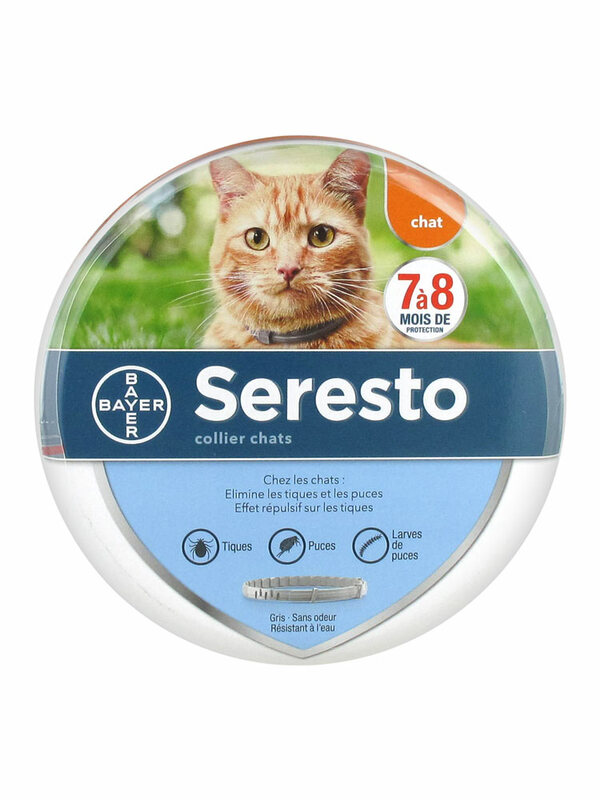 Seresto cat collars will protect your pet for many months. The best product I have found for Cats and Dogs in eliminating Fleas and Ticks etc. Brilliant product at best price possible. Great cat flea and tick collar . In the US this is a $55 product secondary to big pharma . Here I paid $25 .